Xposed Framework is probably the best thing that has happened to rooted Android phones. Right from tweaking apps to modifying Android OS, it has power to make those custom changes according to our need. Xposed modules can do a lot now. 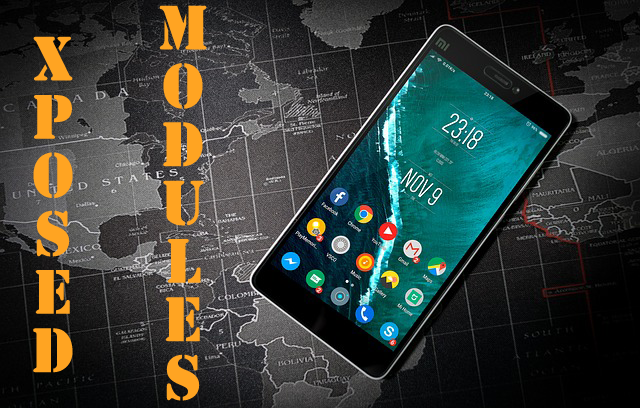 Over the time, many Xposed modules have already evolved. All the credits goes to those developers who put their hard work in meeting the needs. However, a lot of people are still unaware about some of the best modules. Here is a list of some useful Xposed modules which most of us would like to have. These are some of the modules which runs perfectly fine on Android Marshmallow. However, you may try on other OS too. 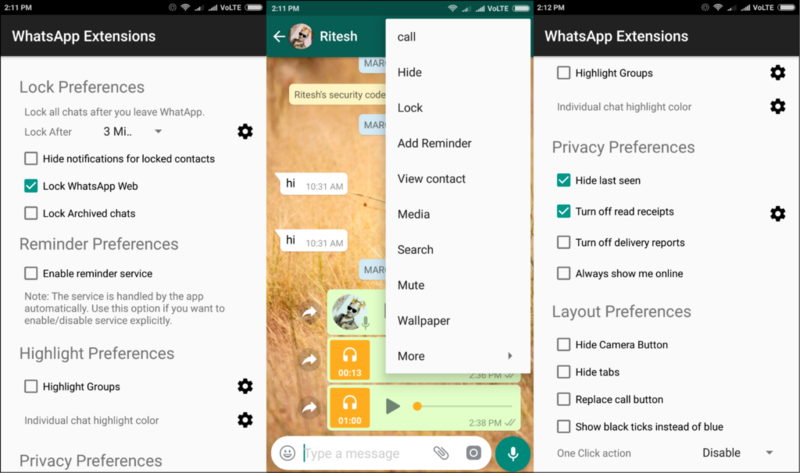 WhatsApp Extensions is a perfect replacement to WhatsAppX. Since WhatsAppX is no longer updated, you may tweak WhatsApp with this Xposed module. This module is updated regularly and lots of features are now included. Recently, WhatsApp updated its status feature. You can view someone’s WhatsApp status without letting them know using this Xposed module. Hiding blue ticks, locking particular chat and hiding last seen are some of the popular features of this module for WhatsApp. Overall, its a must have Xposed module if you are a frequent user of WhatsApp. XInsta is a standalone Xposed module for Instagram users. 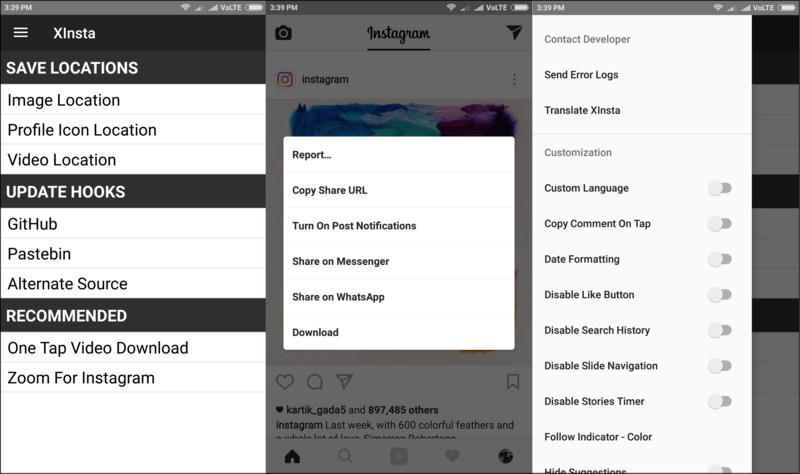 It tweaks Instagram app so that you can download photos and videos easily. Instagram doesn’t let you do that otherwise. But, its possible with this Xposed module. Instagram is the best app for photo sharing. Sometimes the images are so beautiful that you want to save it offline. And, XInsta helps you do that. You can also disable the story timer and view the current story for unlimited time using this module. Its a must have Xposed module for Instagram users as it contains lot of customization options. 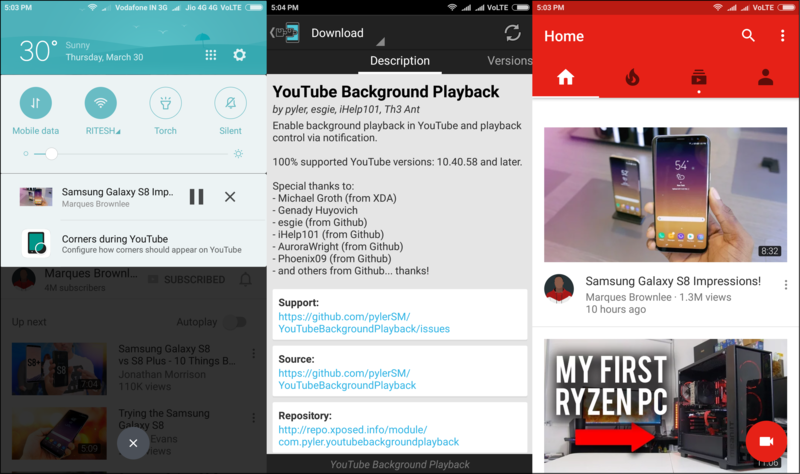 YouTube Background Playback lets you play audio of any YouTube video in the background. Even if you close the YouTube app, the audio of the video that you were viewing keeps on playing. This is useful for YouTube Music lovers. It comes handy when you want to keep on listening to the track while doing other work on your phone. This Xposed module is very simple and it has no user interface. It has this one single feature which is currently available only for YouTube Red members. 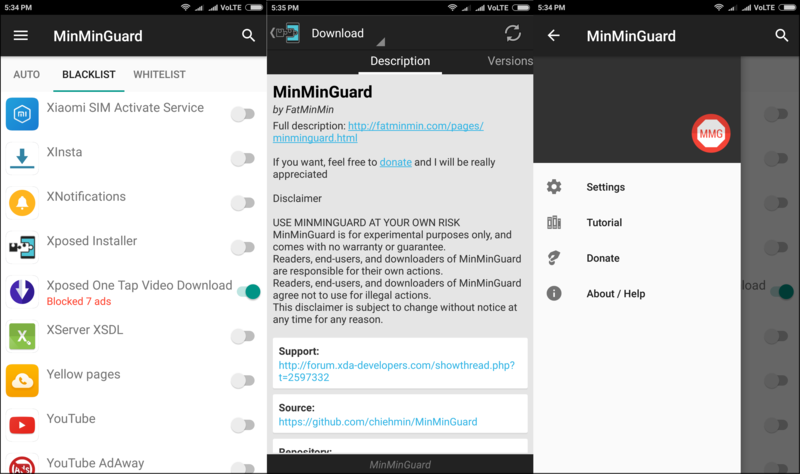 MinMinGuard is a xposed module to block ads of Android apps. Lets be honest. These ads keeps the businesses going. But, there are times when you just don’t want to appear them. Especially when you are playing games. There are millions of apps in the Play Store and you can’t keep on purchasing premium version for all of them. So MinMinGuard helps you to block ads from Android apps. You can also block it in system apps using the settings of this module. Depending on your need, you can blacklist or whitelist apps inside this Xposed module. However, it is recommended that you use it only when you require it badly. Otherwise, it affects the businesses too. Xposed One Tap Video Download is an app in the Play Store which has supported Xposed modules. You can download videos playing in your mobile browser with just one tap. You will need Xposed One Tap Facebook Module to download videos from Facebook Android app with just one tap. Similarly to download videos from YouTube app, you will need Xposed One Tap YouTube Module. Do not forget to update hooks in order for it to work with YouTube app. Overall the modules works perfectly fine and it can be useful to video lovers. You will probably not have to rely on Tubemate app to download YouTube videos now. Thus, Xposed modules help you to do those tweaks which are otherwise paid or impossible. Hence, if your phone is rooted and it has Xposed Installer then do check them out. These are my five favorite Xposed modules for 2017. Do not forget to share Xposed modules that you like in the comments below.